In addition to the online html library and the downloadable PDFs, there are now e-book versions to grab. There are MOBI files for your kindle and EPUB files for most other e-book readers. I’ve requested this for some time now, so I’m glad VMware is providing them. They have to be one of the first large mainstream software vendors to offer their documentation in these formats. I wouldn’t say it is a revolutionary concept, but nice that VMware is leading competition and being innovative when they can. 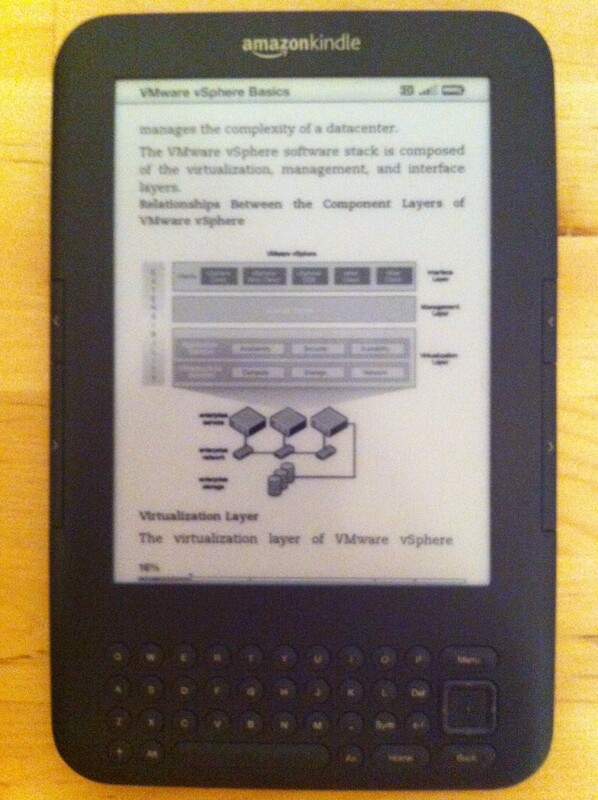 Over the last few weeks I’ve been working feverishly on my documentation notes and reference card for vSphere 5. See here and here for the vSphere 4 versions if you’re not sure what I’m referring to. I’m 90% done on my notes from the Release Candidate version of the official documentation, so I just need to finish them off and quickly check the new GA versions for changes. I hope to get them published in the next couple of weeks. So if you’re not willing to wade through 2000+ pages of official documentation then you might want to get a copy of my notes for some of the newer and more interesting excerpts. I wanted to have them released in time for VMworld, but what with that being merely days away it probably isn’t going to happen. We’ll see; after all, what’s else are plane journeys for if not documentation. BTW, if you’re heading to VMworld this year and spot me out-and-about, be sure to come and say hi. It’s always nice to meet fellow v12n geeks. As soon as I’ve got the documentation notes out the door, I’ll be beavering away on the new reference card. I can’t say when it will be available, as it takes a tremendous amount of work, but rest assured I’ll be working hard to complete it as quickly as possible. If you want to be the first to know when the notes and/or card is available, be sure to follow me on twitter @forbesguthrie. I’ll try to keep everyone abreast of my progress over the coming weeks.